Did you know that $100+ million a day is what Google earns from AdWords? In order to make so many business to be paying for the clicks, AdWords has to make a lot of those businesses even more than what they’re paying. The reality is that there are still many AdWords advertisers who are paying Google more than what they should actually pay. Google is actually gaining from your loss. If you’re clever enough, you should be aware of the Google AdWords tips that Google doesn’t want you to know of. Here are some of them. Putting ‘Display and ‘Search’ in the same campaign: For all those who are new to AdWords, there is a quick lesson for you. You should know that there are basically 2 networks which you can run on your campaigns. Display network is where your advertisements can show up on numerous potential websites in the GDN or the Google Display Network. On the other hand, Search Network is where your ads can show up on Google.com when someone searches with keywords. The way you select keywords is different and the way you set your bids is different. Now Google has recently offered “Search with Display Select”. Relying only on Broad match: Match types are usually a big deal in the search campaigns. The match types of the keywords determine the search terms for which your ads are eligible for appearing. Here are some of the main match types: Exact Match, Phrase Match, Broad Match and Broad Match Modifier. Don’t make the mistake of adding a bunch of Broad Match keywords to the campaign as it will surely fail to impress. Not excluding the bad placements: This is for all those who are running Display Network Campaigns. Depending on your niche, this Display Network has enough ability to drive a lot of traffic than a search engine campaign. Some ways of targeting people on the Display Network are Topic Targeting, Contextual Targeting and Interest targeting. Hence, if you don’t want to be fooled by Google and other search engines, take into account the above mentioned Google AdWords tips that Google doesn’t want you to know. Knowing them, you can outsmart them and create a niche online. 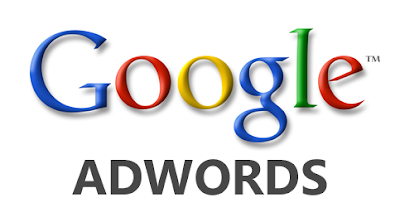 If needed, you can even hire an AdWords professional who can help you the steps to take. Know more about adwords tips & tricks. In order to make so many business to be paying for the clicks, AdWords has to make a lot of those businesses even more than what they’re paying. What about this point? Thanks for sharing this google hacks! ‘Display and ‘Search’ in the same campaign, I think people get easily confused with this two contradiction.